When the City of Joy turns into the City of Sorrow, it is time for Taranath Tantrik to save the day. A man dabbling in the supernatural, Speech Bubble Entertainment’s anti-hero is here to stay. In the realm of new-age Indian comics, though there are many more creators than there ever have been in the world, and many more characters too, the exploration of various genres is definitely lacking. Though Chariot Comics’ Zombie Rising and Yali’s Caravan paved the path for the growth of the horror genre, there definitely have not been enough takers- primarily because of careless artwork and even more careless writing. But released last year, Taranath Tantrik, though flawed, held much promise. 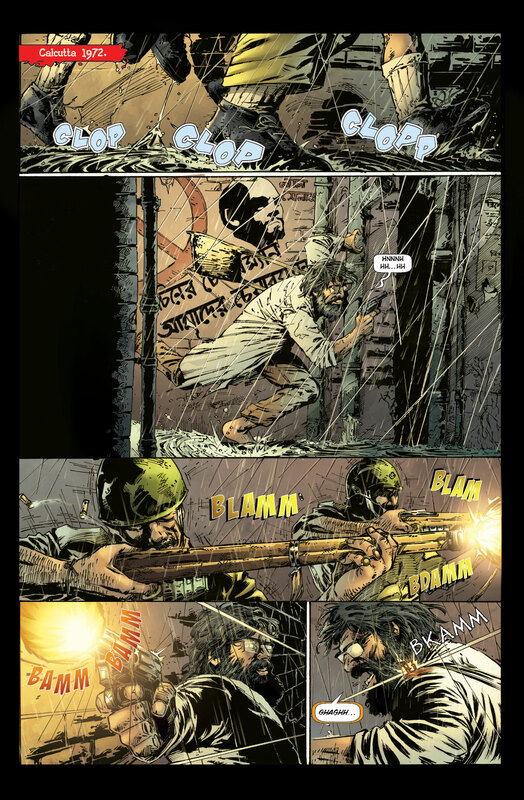 And this year, two more issues of the series prove that the Tantrik’s story is far from over. Set in Calcutta, the City of Joy, this series starts off with a strange plague turning innocent passers-by into blood-thirsty, mindless, monsters. And soon, more and more get affected, triggering paranoia and accidents amidst the chaos. But with this mysterious plague affecting the city, is there any hope? Well, there is. In the form of a chain-smoking, expletive-spewing anti-hero. Inspired by a character created by Bibhutibhushan Bandopadhyay, the author of Pather Panchali and the Apu trilogy, Taranath Tantrik is the city’s own paranormal sleuth. Though the first title of the series was rather disappointing in terms of art, the newer issues have surprisingly dealt with the matter rather well. 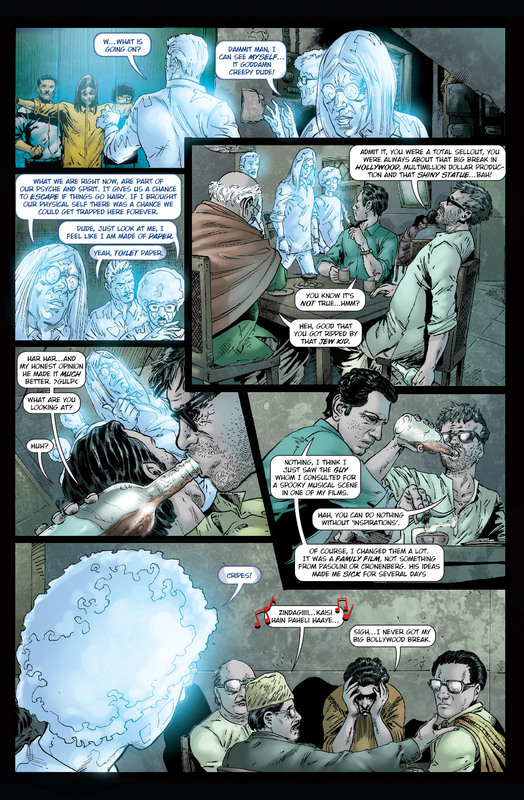 Though the issue’s artwork style remains the same, introduction of penciller Tamal Saha and colourist Vishwanath Manokaran has indeed made the 32 pagers much easier on the eyes. 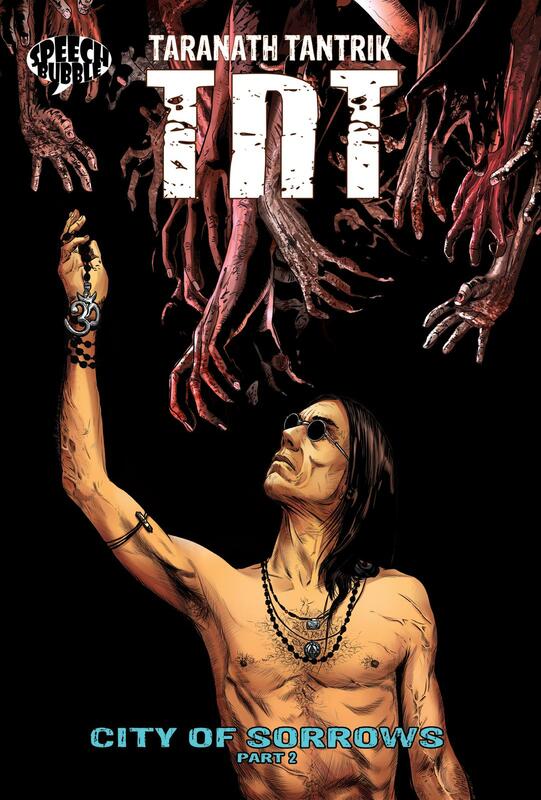 “On TnT#2 and #3 I got the support of an old friend and a fantastic artist in the making, Tamal Saha. Working with Tamal was an entire different experience, since he is a Bengali and comes from the same mindspace. His art in TnT was a glove and hand fitting. Tamal’s penchant for quirky faces, disturbing camera angles, light and dark became an additional boon to the series. Taking nothing away from Bikash, the artist of the debut issue, Tamal was a superior fit for a story like TnT,” says writer Shamik Dasgupta about the new issues. “If we correlate a comic book to a movie then I guess as an artist I’ve to think like the actor, art-director, cameraman, choreographer and almost everything in between. So it is better to say a lot of improvisation goes into each panel. For a comic book series the main thing is to maintain a consistency not only in the quality of art-work but the specifics of the lead characters as well. Mainly I sketch the defining features of the main characters separately for my personal reference and also use photo reference for the various real world locations used in the series. All in all it is highly demanding process yet a very satisfying one,” says Saha about his experiences of working on this project. 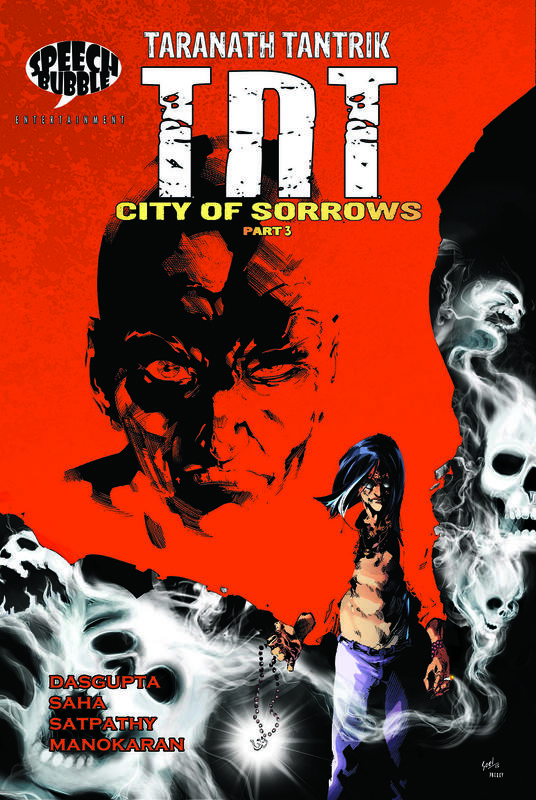 Written by Shamik Dasgupta, one of the best-known comic book writers in India, this supernatural tale of humans and spirits crossing their paths in our world is gearing up for a 48 page finale in the fourth and final book later this year. Set in the heart of Calcutta, Dasgupta signs off with the promise of showcasing more of the city and its bylanes in the soon to come climax.